Children with ASD, on average, engage in lower than recommended levels of physical activity, and as such have been identified as having higher risk for health problems related to sedentary lifestyles (Sowa & Muelenbroek, 2012). Identifying means which can be utilized to encourage increased activity is, therefore, an area of interest for researchers hoping to address this issue. A recently published study conducted by Savage, Taber-Doughty, Brodhead and Bouck (2018) sought to examine the efficacy of praise delivered through varying methods of increasing levels of physical activity in individuals with ASD. The researchers utilized two alternating methods for praise, the first was in person, and the second through technology. Over several weeks, participants were trained to take laps around a gymnasium while operating an iPod connected to headphones that played positive and encouraging pre-recorded statements. Once it was determined that participants were competent in operating the technology and understanding the instructions, data collection began. Participants were instructed to run laps around a gymnasium in both the technology and in-person conditions. During the technology condition, participants listened to the iPod while running, and during the in-person condition, a live trainer gave the participants encouragement. The effectiveness of the intervention was measured based upon the number of laps completed, the duration of exercise, and the discrepancy between resting and ending heart rate. Interestingly, results indicated that both conditions led to higher levels of measured physical activity. Results also indicate that both experimental conditions yielded increased activity. Interestingly, however, the variable that moderated levels of activity was participant preference. The researchers conclude, therefore, that praise statements can be used to heighten physical activity in young adults with ASD; exposing individuals to several options can identify preferred methods of support. The implication is that identification of preferred support methods can yield increased performance from interventions. The results of this particular study may seem unsurprising to some, but are important as they exemplify the value of recognizing the autonomy and individuality of all clients. Understanding the preferences of the individual allows us to select and design interventions that are not only the most effective, but that are also as enjoyable as possible for the client. 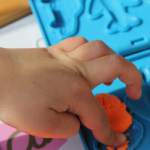 Therapeutic interventions for children with ASD such as ABA are often rigid and repetitive. By shaping our care to client preferences, we are able to make our best effort to provide therapy that is simultaneously effective, engaging and enjoyable. Children with ASD are often underestimated with regard to their ability to make decisions and communicate, and it is of the utmost importance to bear in mind that those with ASD are just as individualistic and human as neurotypical individuals. We all have our preferences and personalities, and tailoring therapy to suit these attributes is extraordinarily important to us in striving to implement effective, evidence-based practices.